This post was written by Cort Gatliff. One afternoon when I was in elementary school, as I was choosing a book to purchase from the church bookstore—my reward for behaving while running errands with my mom—I came across Jesus Freaks by the Christian band DC Talk. Named after the band’s successful album and song, both of which I counted myself a fan, Jesus Freaks tells the stories of Christians around the world who have been put to death for their faith. That night, long after everyone in my house had fallen asleep, I stayed up reading. I became obsessed with these shocking tales of hangings, beatings, shootings, beheadings, stabbings, and steam-rollings; the more gruesome, the better. The details of the Jesus Freaks stories vary, but they all have the same, unambiguous ending: a courageous Christian is killed because of his or her faith. For a pastor’s kid living comfortably in the Midwest, enjoying more privileges than consequences because of my faith, learning about the horrific deaths these people faced was confusing, inspiring, and most of all, haunting. My favorite martyr story—what nine-year-old doesn’t have a favorite martyr story?—was that of a woman who was immured in the city walls for refusing to deny her faith in Christ. Brick by brick, they sealed her in, offering chances to denounce Jesus until the final brick was laid. I threw the covers over my head, cutting off any source of light from the outside, and imagined sitting alone in the dark, unable to move, waiting to die. Did the Holy Spirit comfort her? I discovered Jesus Freaks shortly after the Columbine shooting. In the evangelical world, one name was on every youth pastor’s lips: Cassie Bernall. Eric Harris, the story goes, put a gun to Cassie’s head and asked if she believed in God. “Yes,” she said, and Eric pulled the trigger. These particular details of the story turned out to be mere rumors—the reality was both much sadder and much less glorious—but that hardly mattered. Cassie’s death had turned her into a saint, a hero of the faith. Before Columbine, martyrdom was something that only happened in places so very far from home. But suddenly it felt like it could happen to any of us, at any time. Maybe even at school, while walking to class. At youth group, the pastor punctuated his message with the ultimate question: What would you say with a gun to your head? There is no way, of course, to answer this question with certainty. All I knew at the time is that I didn’t want to die. But I also didn’t want to miss out on my chance to be counted among those saints bold enough to stay faithful to the end. Anything less meant eternal damnation, I was told. Maybe, I thought, I would proclaim my love for Jesus, and my executioner would be so moved by my commitment that he would let me live. In all of my martyrdom fantasies—what nine-year-old doesn’t have martyrdom fantasies?—I miraculously made it out alive, faith uncompromised. The problem with these fantasies is that I was always the hero, and Jesus an afterthought. My motivations were rooted in pride, or the fear of hell, but never love for Christ. I relished the thought of my faithfulness, like the woman immured in the wall, inspiring Christians for generations to come. I thought of Jesus Freaks, and of Cassie, while reading Silence, Shusaku Endo’s 1966 novel about faith, doubt, suffering, and the unbearable silence of God (also an upcoming Scorsese film). In Silence we meet Sebastien Rodrigues, a young Portuguese Jesuit priest traveling to Japan as a missionary during a bloody season of Christian persecution in the 17th century. He’s in search of information regarding his mentor, Father Ferreira, a fellow priest who had reportedly done what Rodrigues is certain he will never do himself: apostatize under threat of torture and death. With the help of Kichijiro, a cowardly, drunken Japanese apostate, Rodrigues and his companion make it to Japan and find a community of secret Christians eager to partake in the sacraments. Kichijiro, despite his past, receives a hero’s welcome for bringing the priests to the village. But it’s not long before we see Kichijiro, the novel’s Judas figure, once again give into his fears and trample on the fumie, images of Christ and the Virgin Mary, under pressure from the Japanese authorities. Kichijiro flaunts his faith when it wins him favor and renounces it when there’s a cost, even going so far as to betray Rodrigues for a few pieces of silver. But with each act of apostasy and disloyalty, Kichijiro, repentant and in desperate need of absolution, seeks out Rodrigues for forgiveness. Growing up, I was taught to venerate Christian martyrs, and rightly so. But what kept me up at night was the nagging suspicion that I would not be strong enough to follow in their footsteps if that were indeed my fate. I fear I share more in common with Kichijiro, stuck in a cycle of denouncing my faith and seeking forgiveness, than with the martyrs of old. How quick I am to trample on the fumie, as it were, in thought and deed. How easily I betray Jesus for far less than a handful of silver coins. As for Rodrigues, it seems he has read his fair share of Jesus Freaks stories over the years. We see him contemplate the moment of glorious martyrdom, when angels would blow their trumpets welcoming the soul to heaven. But when he witnesses martyrdom up close, it’s not quite what he expected. The seed of doubt has been planted. But it’s ultimately through his doubt and weakness—not his strength or steadfastness—that Rodrigues is finally able to hear God speak. 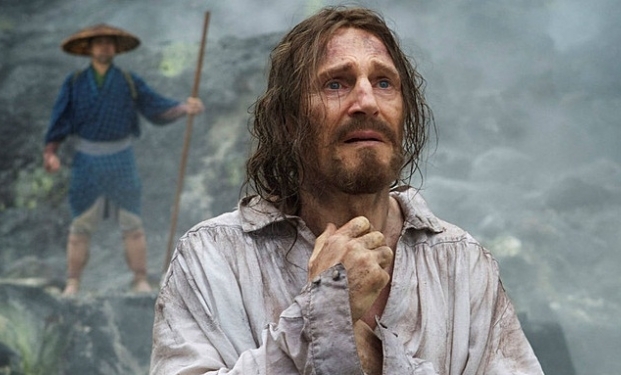 Silence is a haunting, confounding novel that doesn’t shy away from the provocative theological tensions central to its story. Yet I was not left without hope—hope in a God who speaks through the silence, meets us in our weakness, and lavishes scandalous, unfathomable grace on those who deserve none at all. It is for this reason he came. There’s a great warning in Richard Wurmbrand’s Tortured for Christ. He (speaking as a Romanian Lutheran pastor) says as you say, that many think martyrdom is this glorious episode where one dies for Christ, defiant of those asking to betray Him. But, as he gives examples, what if that’s not why the people want to kill you? What if, having rejected a government minister’s request to buy you off, he spreads a rumor that you’re a child molester and mobs form to string you up and hang. You’re stripped even of historical memory, perhaps being remembered as the lie. I had the same experience almost – when I was new to the faith about 15 years ago, I stumbled across ‘Jesus Freaks’ in a mall bookstore, sat down and read that very same vignette about the young French girl immured in the brick tower. I had the same hesitations you expressed… wondering if I could ever be brave enough to withstand torture and death for my faith. Thanks for writing this post. It’s so helpful to be reminded of low anthropology relative to the issue of Christian martyrdom. Frankly, you don’t hear that perspective often in Christendom – more of a cheap law approach. I have a subscription to Voice of the Martyrs and I used to faithfully read each issue. I remember one particular issue where they documented a young woman who did denounce Christ and later expressed grief and sorrow for her decision… and she ultimately found comfort and consolation as her mentor reminded her of Peter’s cowardice. What an unbearable burden when we feel as though we cannot be honest with ourselves or others about our fear of suffering for Jesus. I can remember reading Scriptures like Revelation 12:11 and narratives like Wurmbrand’s ‘Tortured for Jesus’ and feeling guilty because they scared me! Incidentally, I have been piling up and stacking up my monthly issues of V.O.M. b/c it’s easier to ignore that reality than to admit that I would be terrified to have to face that reality. Thanks for reminding me that there’s no condemnation for those in Christ Jesus… even those who still do love their lives to the death! And, I too read Silence when I attended a Jesuit high school 20 years ago. Or at least I read most of it… or maybe some of it. I am a Scorsese fan and absolutely cannot wait for his cinematic portrayal of the novel! Great post! Really took the pressure off! Thanks for reading and sharing these kind words. I’m glad the post resonated with you!